Space Mountain can not be found at Epcot in the Walt Disney World Resort, Orlando, Florida. There is no Space Mountain Epcot Center ride. 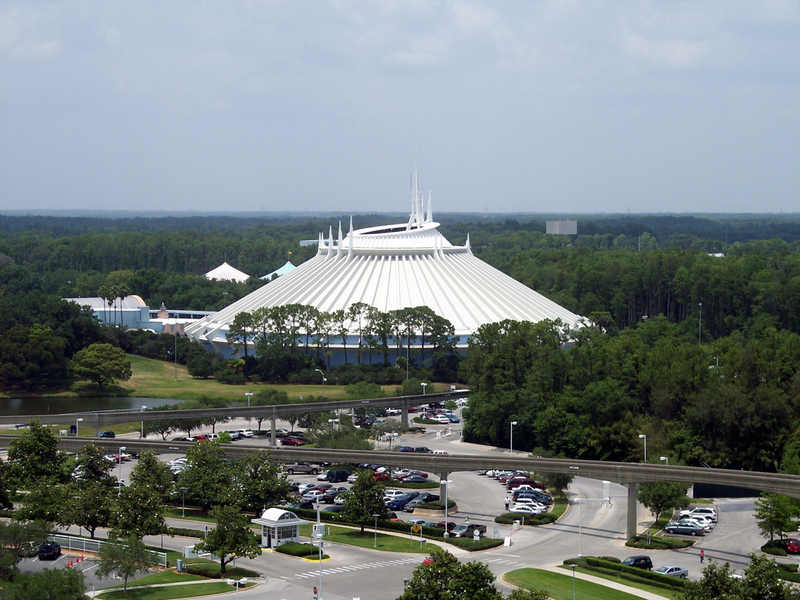 The Space Mountain roller coaster can be found in Walt Disney World, just at a different park (see below). There are other rides in Epcot that also have a space theme. Also there is a connection between Space Mountain and Epcot that is also discussed below. Is Space Mountain in Epcot? No, Space Mountain can be found at the Magic Kingdom in Tomorrowland. Epcot does have a space themed ride called Mission Space that is located in Future World East. Mission Space, however, is not a roller coaster. It is a ride that simulates a spaceship launch to Mars. The ride spins very fast to create G-forces to simulate a journey to Mars. Epcot also has a famous ride called Spaceship Earth, which is inside the big geodesic sphere that is located near the main entrance of the park. It is a slow ride that takes you through a journey of time. Some may mistake this ride as being called Space Mountain, however Space Mountain is the roller coaster that is located in the Magic Kingdom. More information on both of those attractions at Epcot will be posted on the site at a latter date. According to multiple sites, it has been noted that after a renovation of Space Mountain in 2009, Walt Disney World added references to the former Horizons ride that was in Epcot Center until 1999. The references are located in the “post ride” experience, which is the moving floor experience. The moving floor “experience” is after you get off the ride. Also Epcot Center is now called Epcot. Disney removed “Center” from the name some time in 1994. To learn more about the Space Mountain indoor roller coaster at the Magic Kingdom visit the other pages here on the site. Above Space Mountain Exterior photo by KlipschFan on Flickr. Photo modified by NavFile. Photo released under a Creative Commons License. Please note that NavFile is not affiliated with Walt Disney World Resort or The Walt Disney Company. NavFile is an independent research site focused on providing quality information on parks and more.